On 29th October 2017, our parish was pleased to welcome it’s latest member: Thomas Daniel. 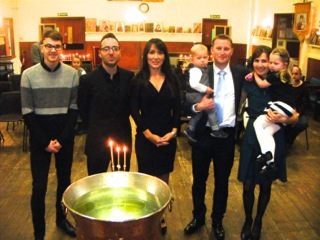 He was Baptised and Chrismated in the afternoon by Father George Hackney. Welcome to the parish, Thomas!